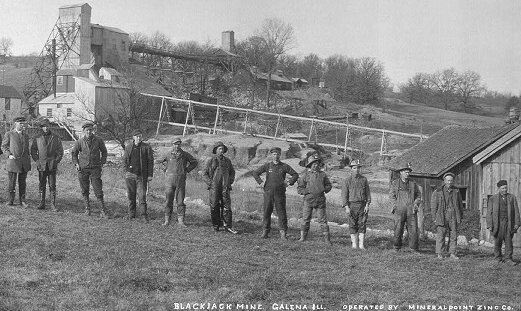 Native Americans, including the Sac and Fox tribes, mined the ore in Galena for use in body painting. 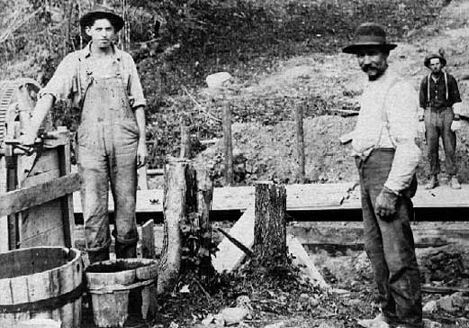 In the 1690s French trappers discovered the area and began mining the lead on a limited basis. 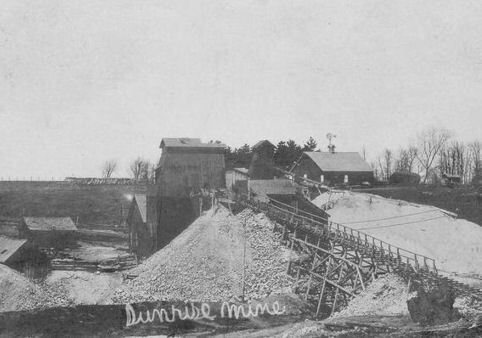 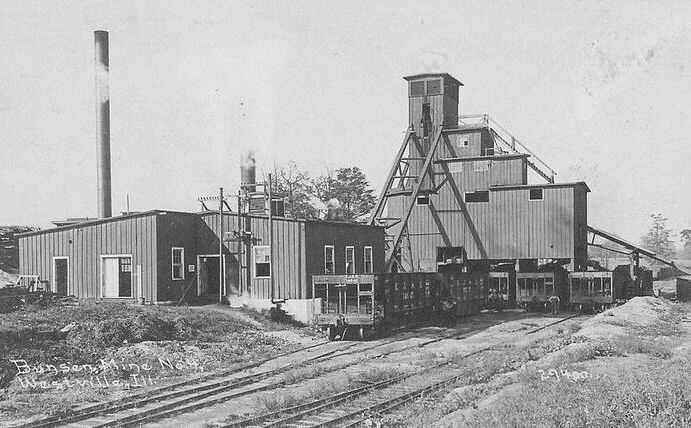 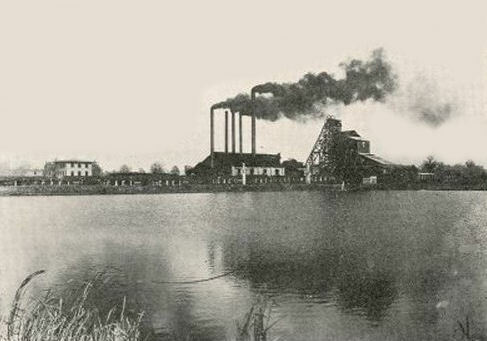 Largescale commercial lead and zinc mining in the Upper Mississippi Valley Lead and Zinc District began in the 1820s and continued until active mining ceased in 1979. 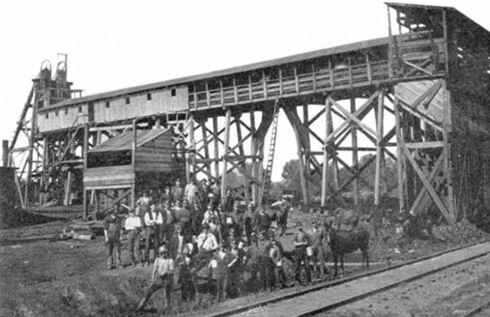 In a little over 100 years, American settlers arrived in the area. 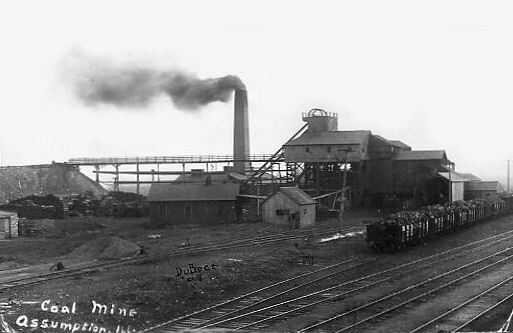 George Davenport, a retired colonel in the United States Army, successfully shipped Galena's first boatload of lead ore down the Mississippi River in 1816. 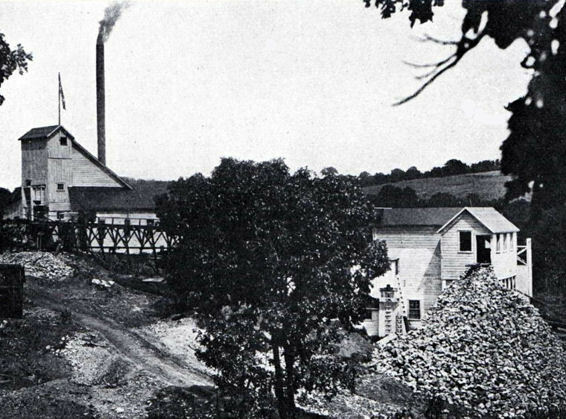 Three years later a trading post was built in Galena that led to the first steamboat arrival in 1824. 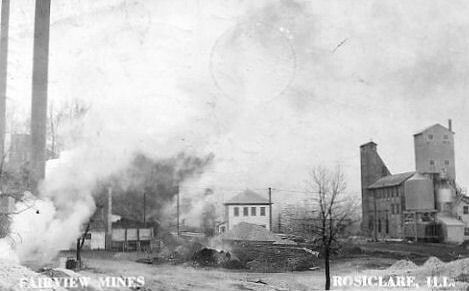 By 1845 Galena was producing nearly 27,000 tons of lead ore and Jo Daviess County was producing 80 percent of the lead in the United States. 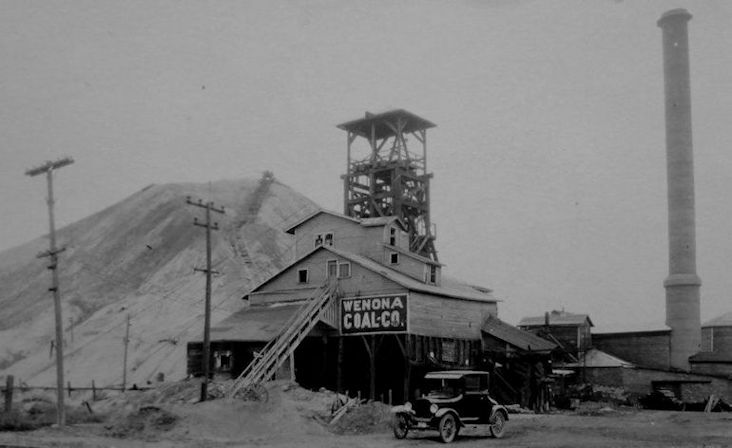 Wisconsin lead mining peaked in the 1840s. 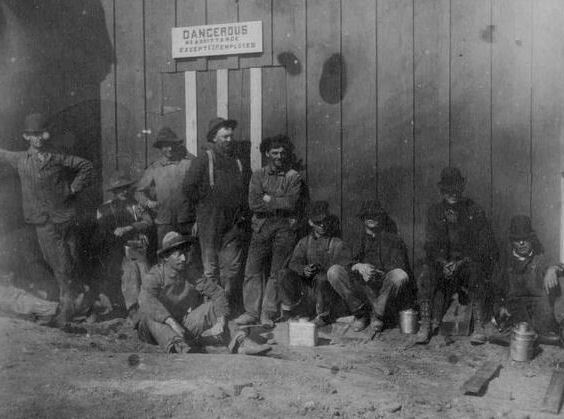 In 1844, a third of the region's residents left for copper and iron mines elsewhere and the discovery of gold in California caused many others to head west in 1849. 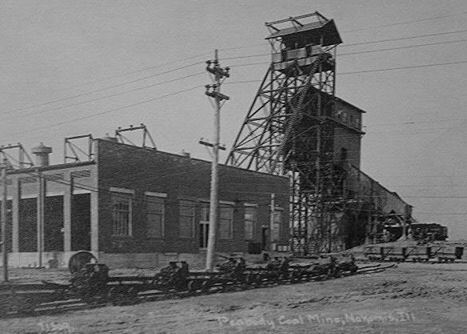 For those who remained, mining often became a part-time supplement to farming. 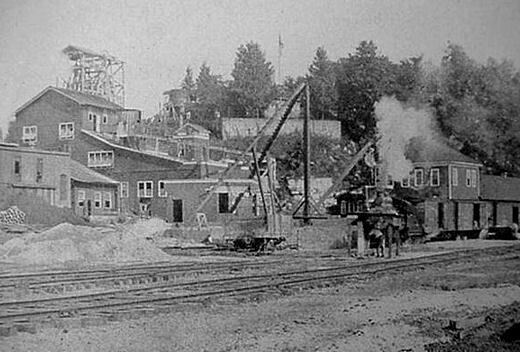 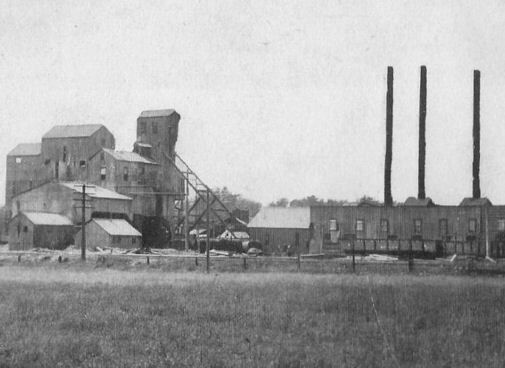 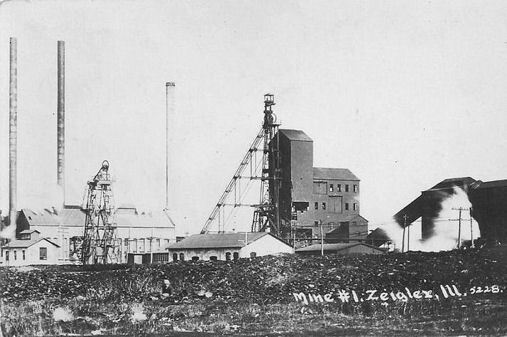 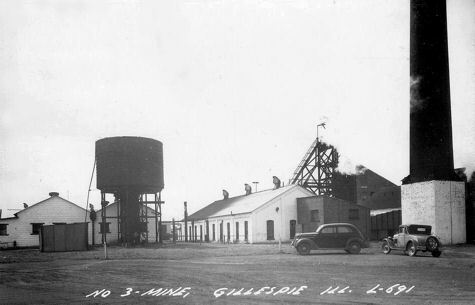 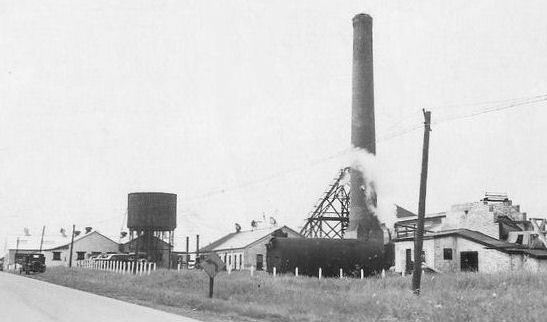 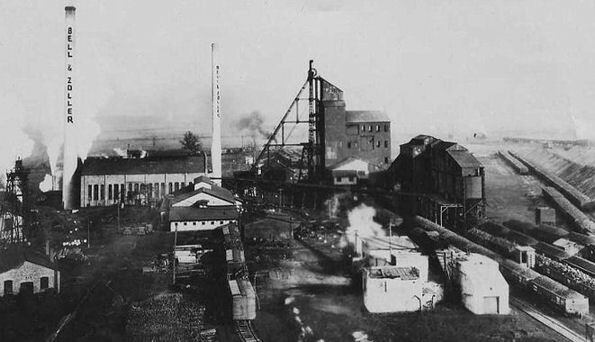 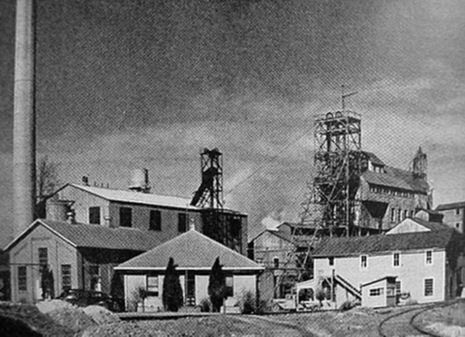 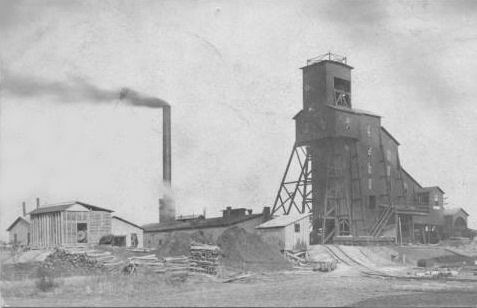 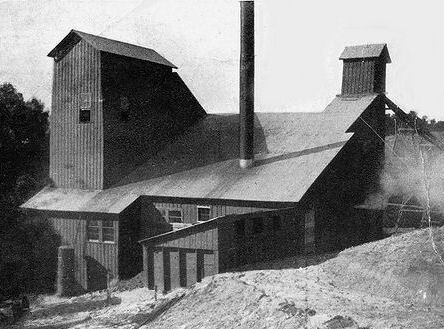 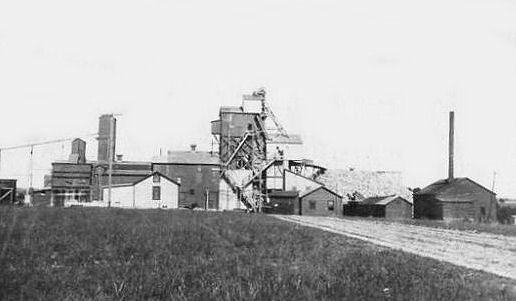 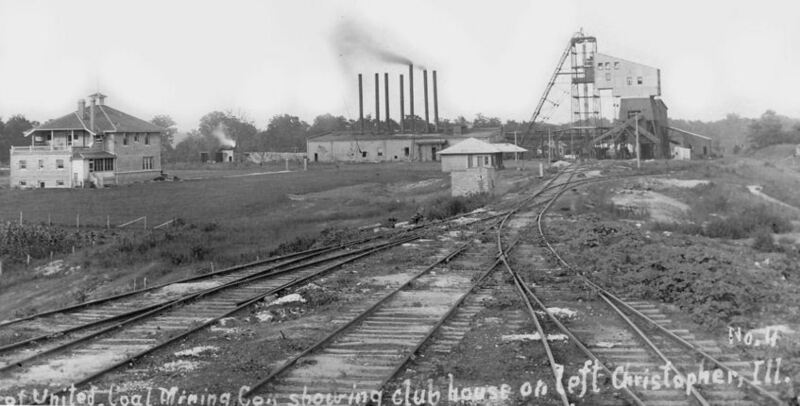 Some men began to mine for zinc, and for a few years in the late nineteenth century, Mineral Point had the largest zinc smelting facility in the world. 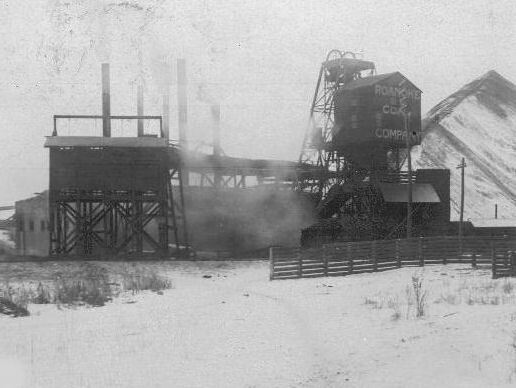 From 1900 through World War I, zinc production boomed. 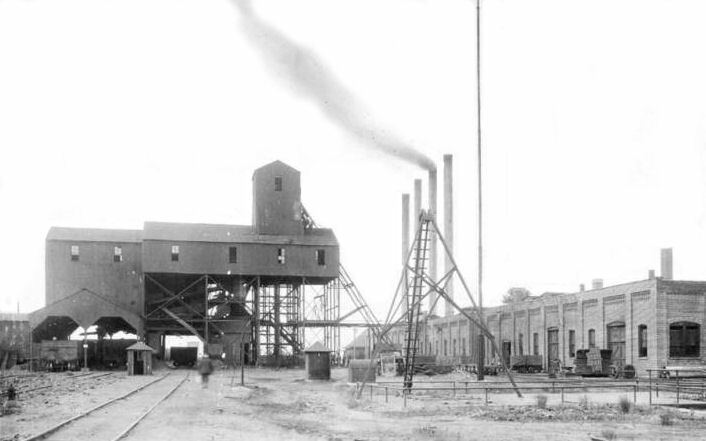 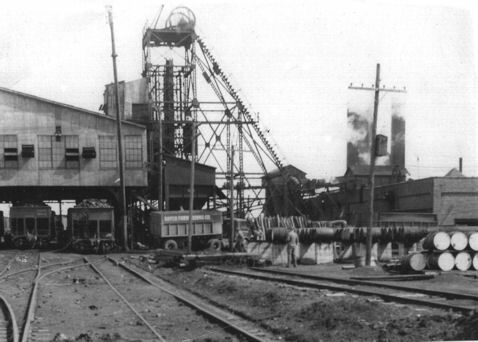 Production reached a peak of 64,000 tons of zinc metal in 1917. 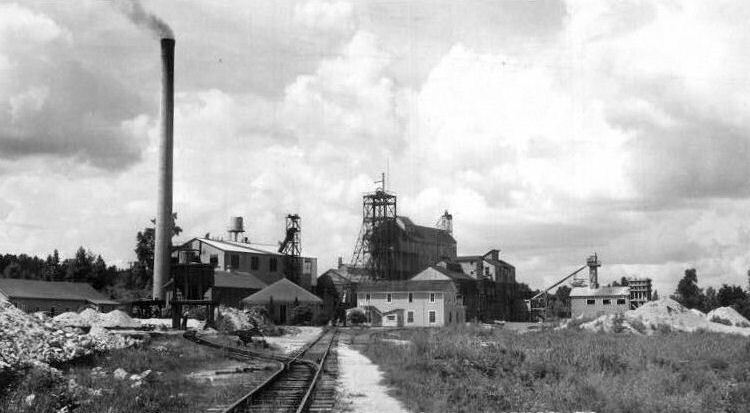 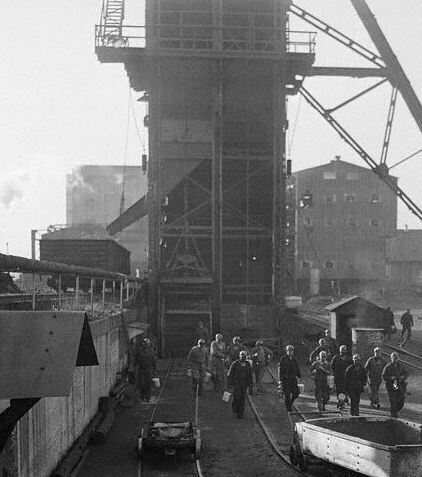 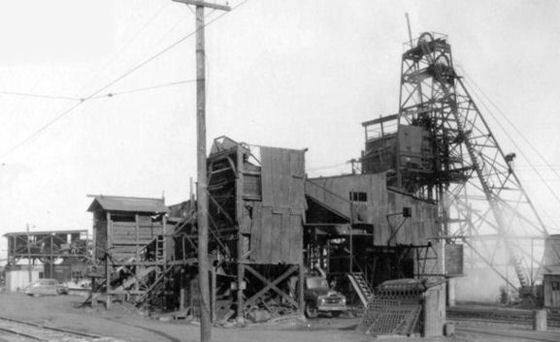 After steep declines in zinc production during the depression following the War and during the Great Depression, output rebounded to over 32,000 tons per year during World War II. 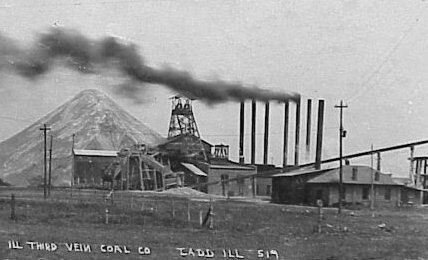 Coal has been mined in 73 counties of Illinois. 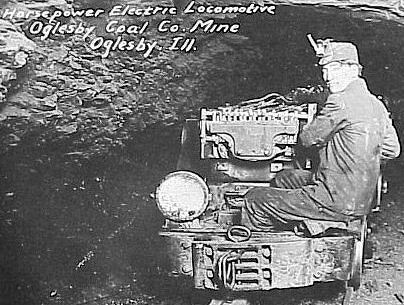 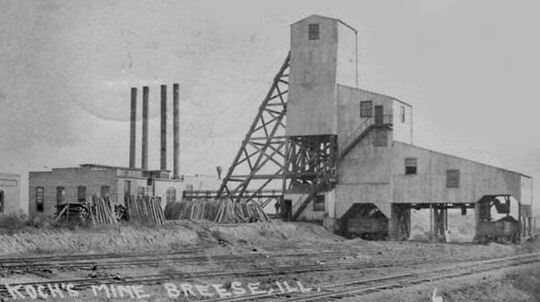 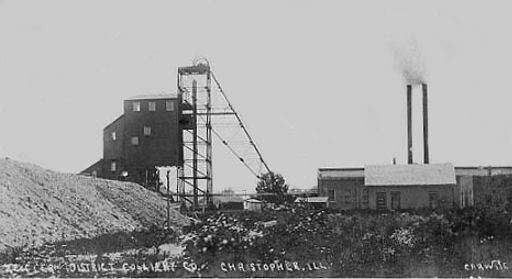 More than 4,500 coal mines have operated since commercial mining began in Illinois about 1810; fewer than 50 are currently active.The first recorded discovery of coal in North America was in Illinois by Marquette and Joliet. 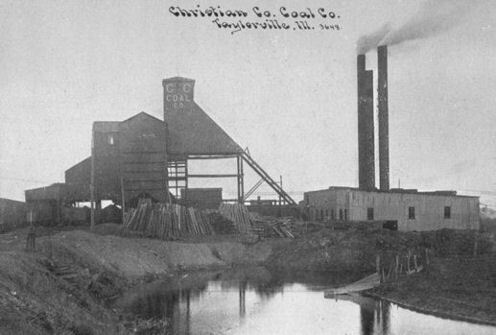 In 1673, they observed and recorded coal outcrops along the Illinois River. 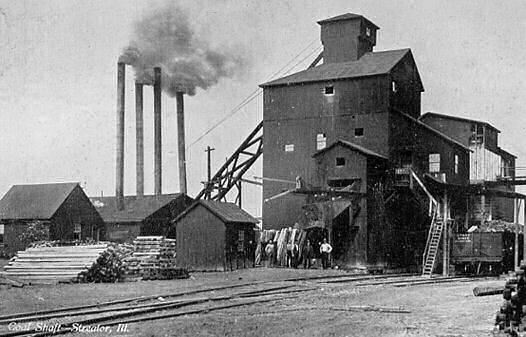 However, it wasn’t until the 1800’s that the settlers first mined outcropped coal for blacksmithing and other domestic uses. 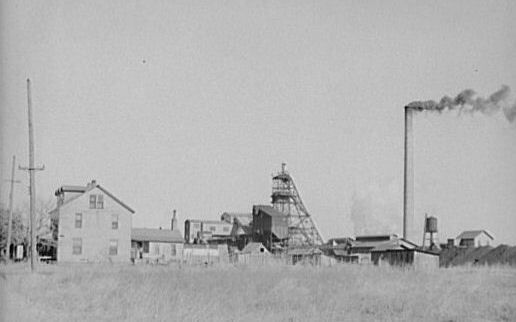 It took underground mining a few more years to get started, but by 1848, Belleville became home to the first underground mining operation. 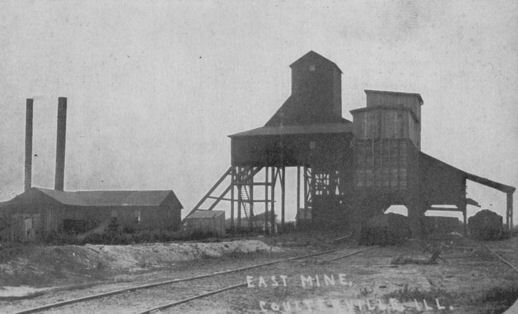 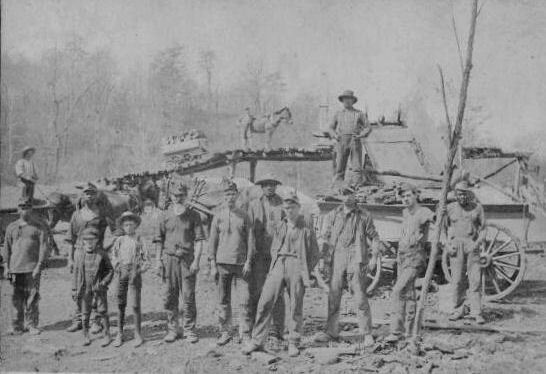 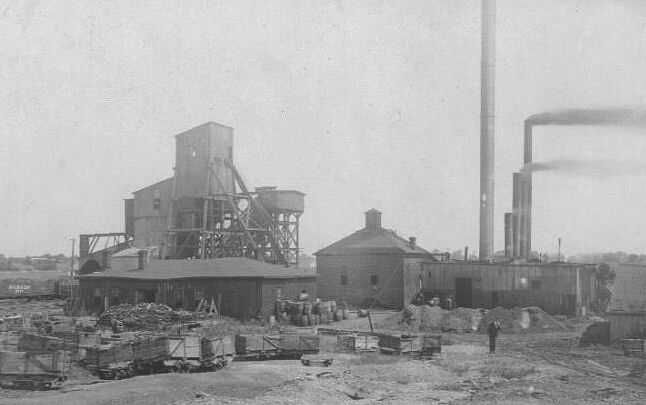 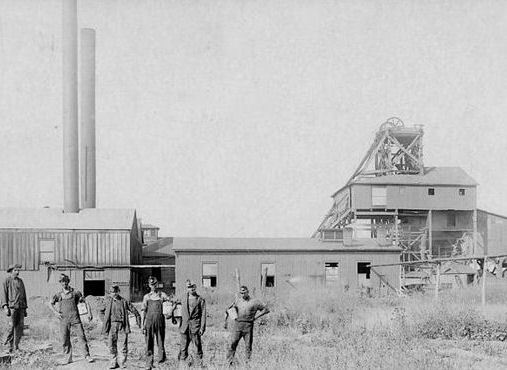 Although prior to the 1860s, some mining was done in the region south of Joliet, Ill., those early mines were primarily small operations that supplied local needs. 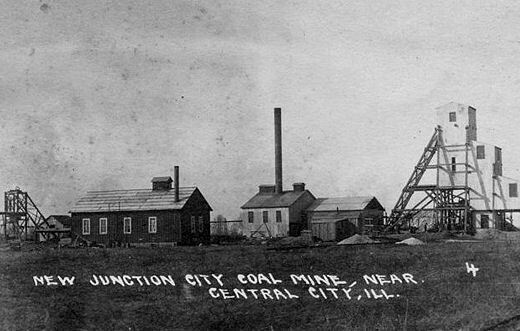 The coal mining "boom" in the northern fields of Illinois really dates from 1864. 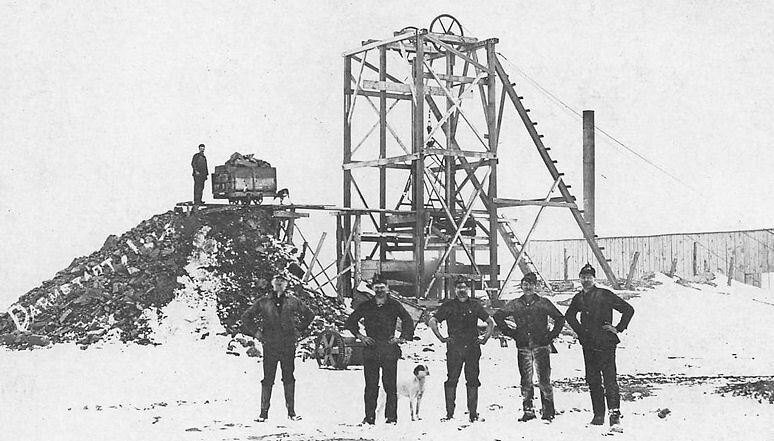 Around the town of Braidwood, a farmer struck coal while drilling a well for water. 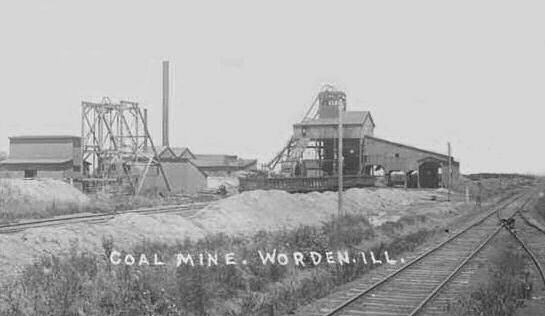 For the next 50 years, thousands of people came into Will, Grundy, and Kankakee Counties to seek their livelihood in the coal mines. 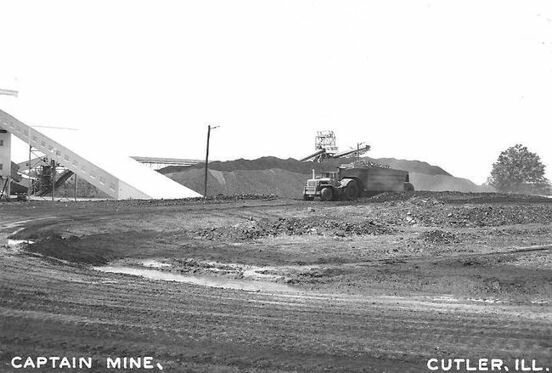 The new coal mining industry spread along shipping routes to ease access to large commercial centers like St. Louis and Chicago. 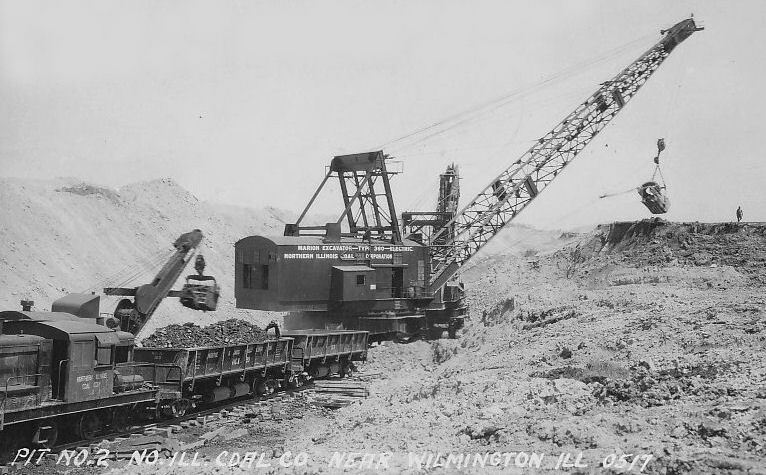 However, it wasn't until the Civil War, when Illinois railroads grew rapidly, that coal mining in Southern Illinois developed into a major industry. 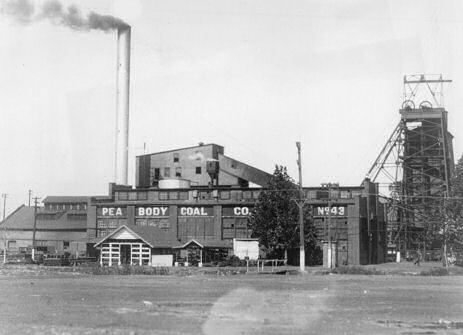 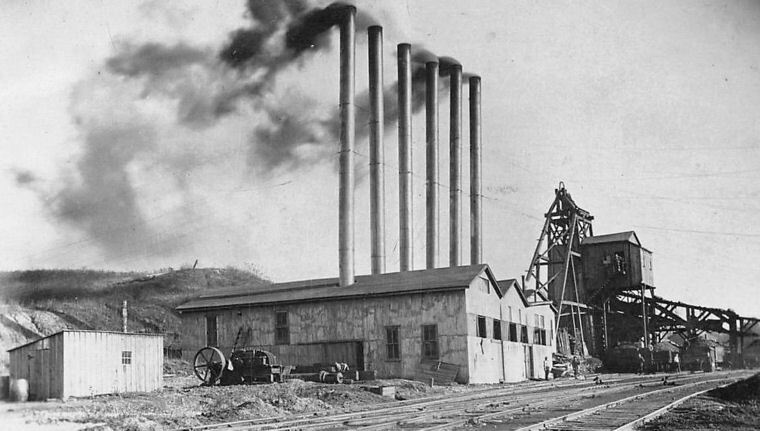 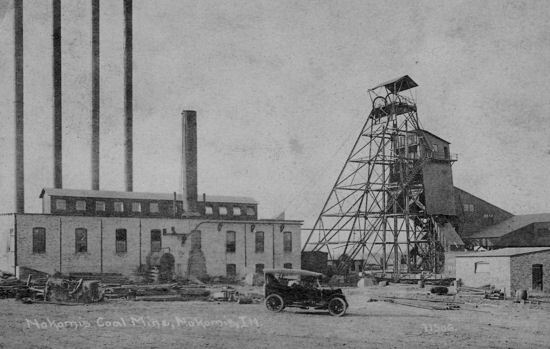 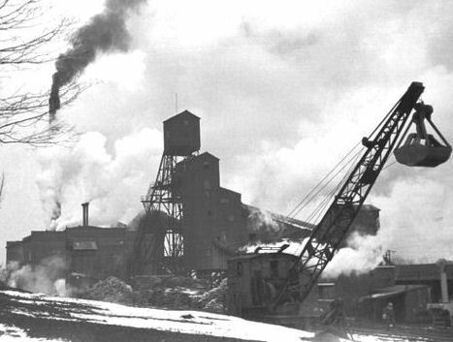 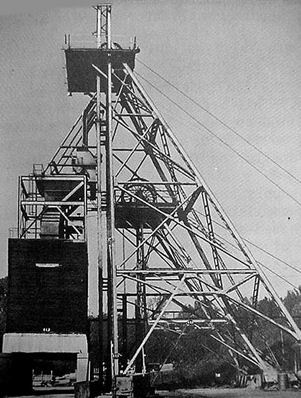 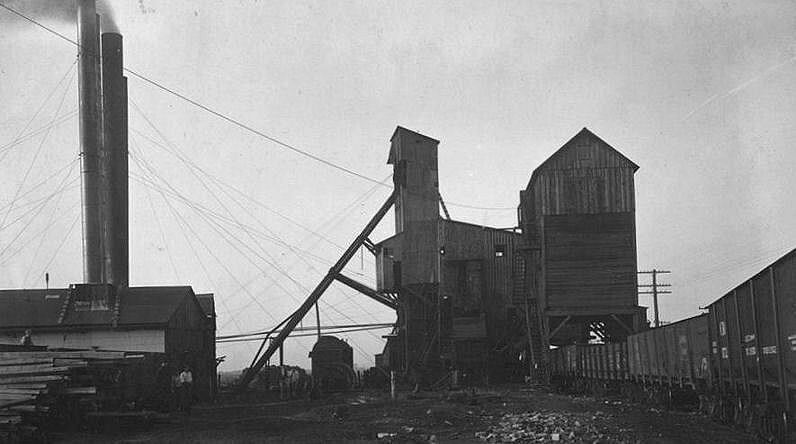 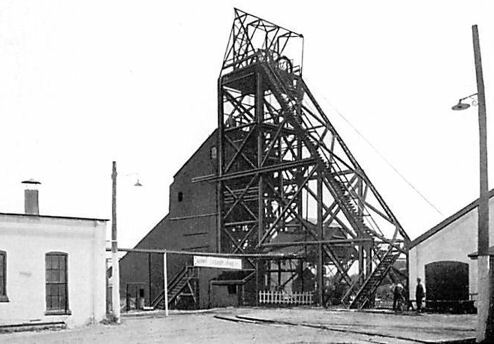 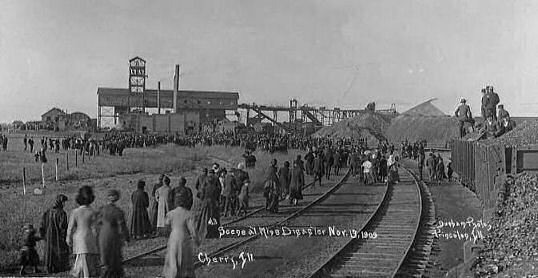 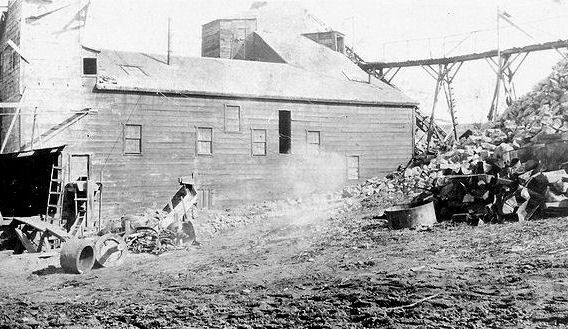 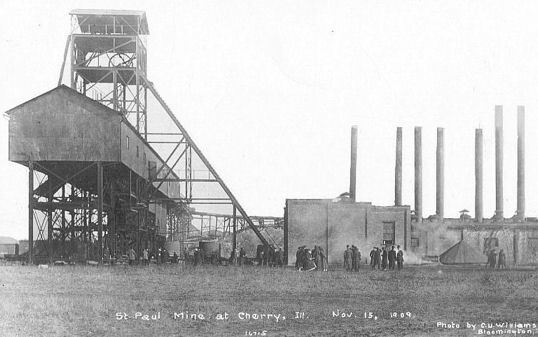 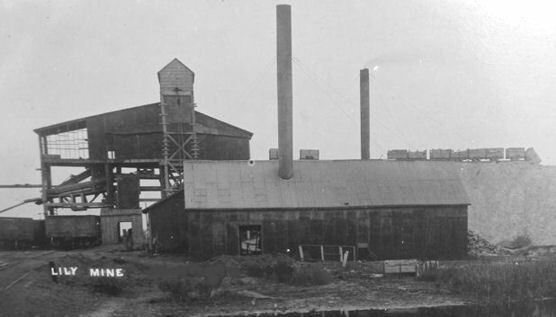 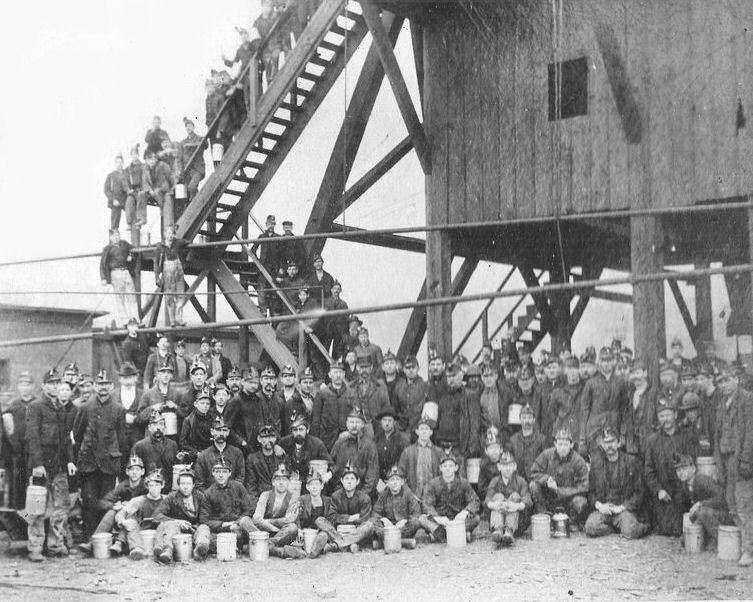 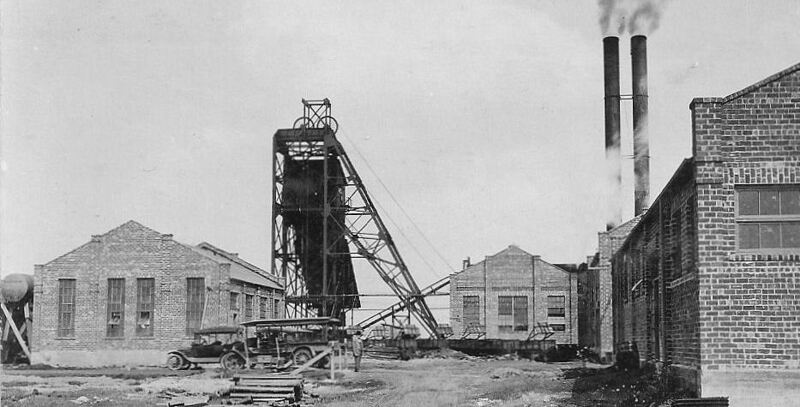 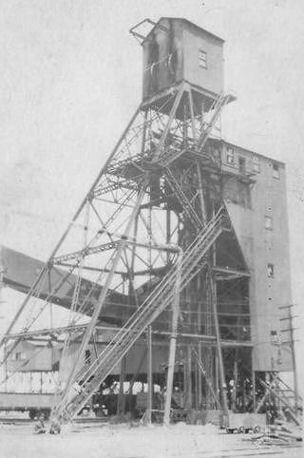 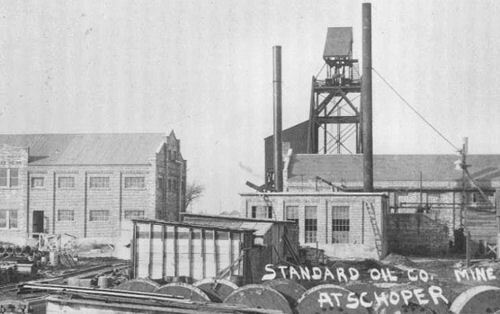 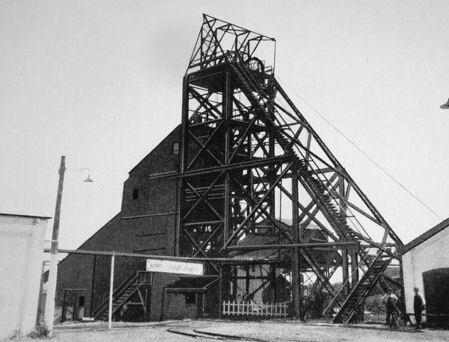 In 1909, the worst mining disaster in the state's history occurred at the Cherry Mine The St Paul Coal Company established the mine in 1905 in the mining town of Cherry. 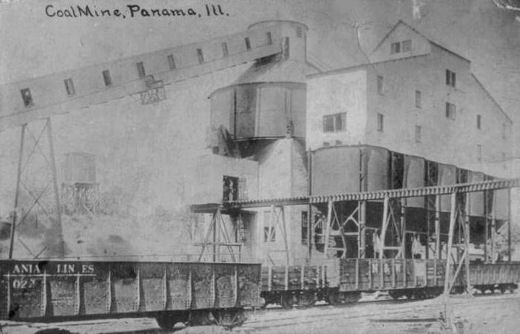 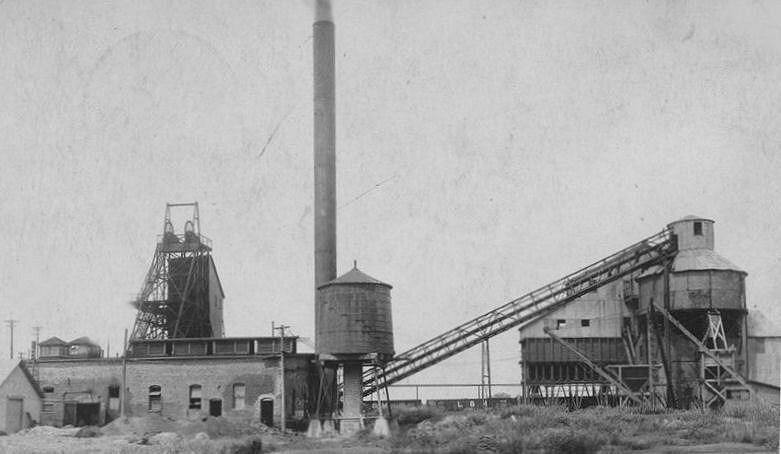 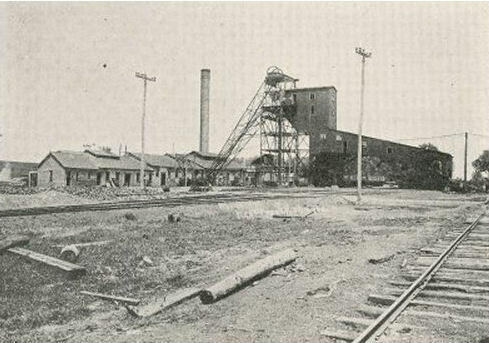 The mine produced 300,000 tons of coal a year to power the Chicago, Milwaukee and St. Paul Railroad. 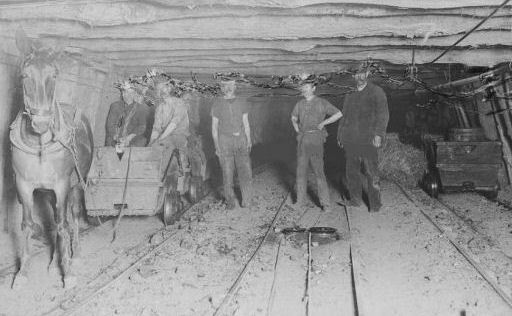 On November 13, 1909, 500 feet underground, a load of hay in the mine accidentally caught fire from a torch. 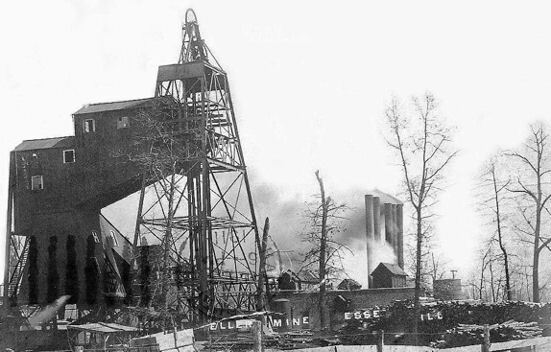 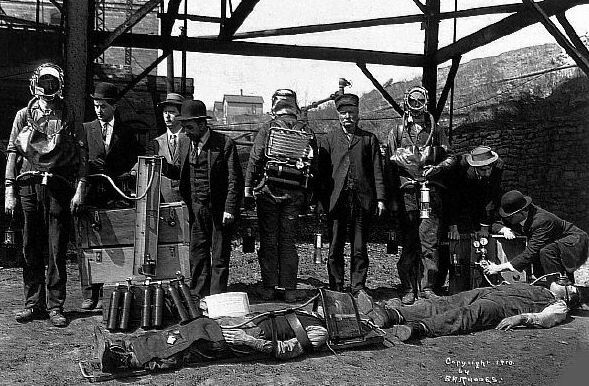 The fire and the resulting poisonous gases left 259 men and boys dead, more than half of the 490 miners underground. 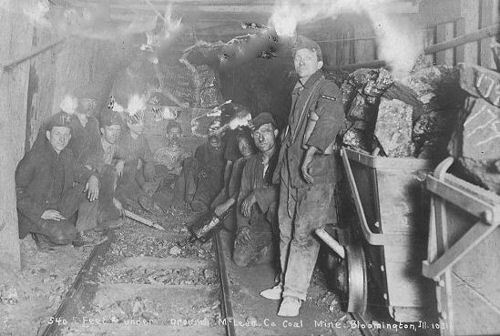 Efforts to save the miners took the lives of 12 of the rescuers. 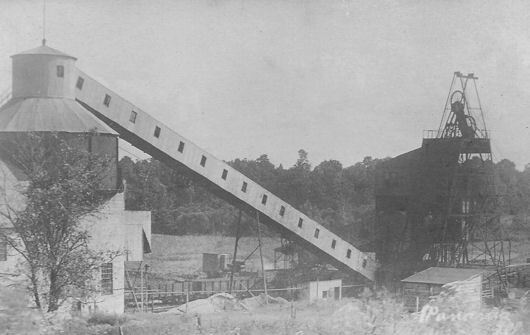 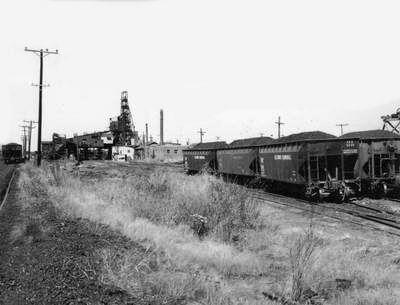 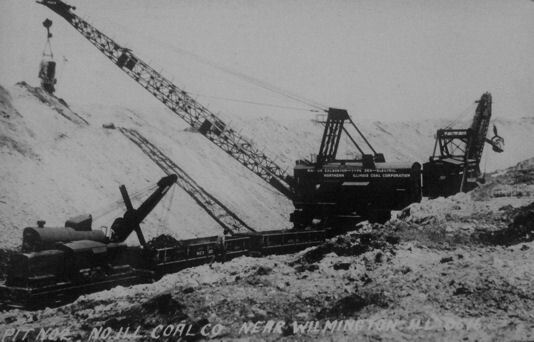 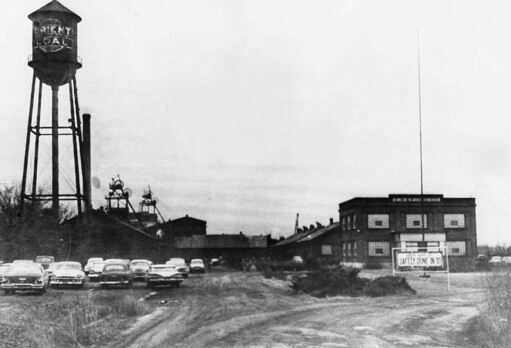 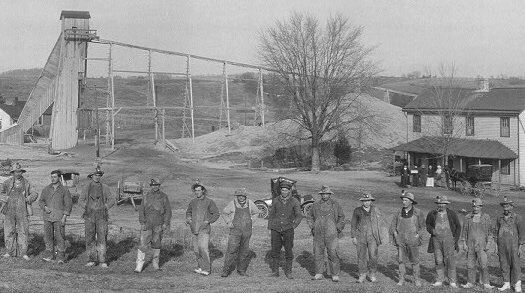 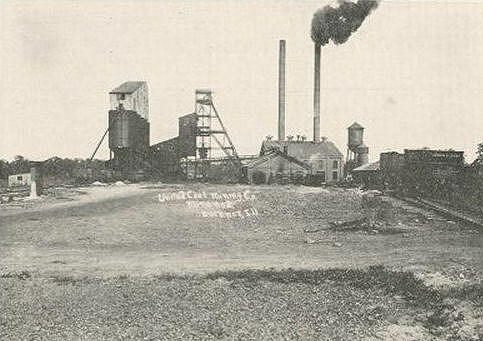 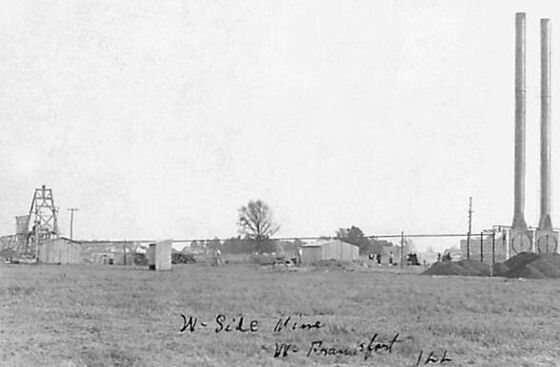 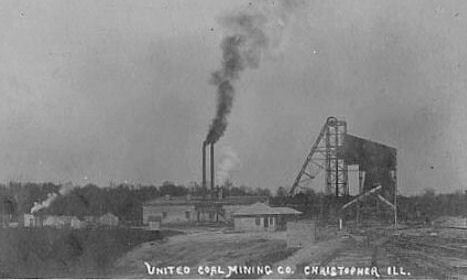 In 1951, the second worst mine disaster in the state's history took place at the New Orient Coal Mine near West Frankfort in Southern Illinois. 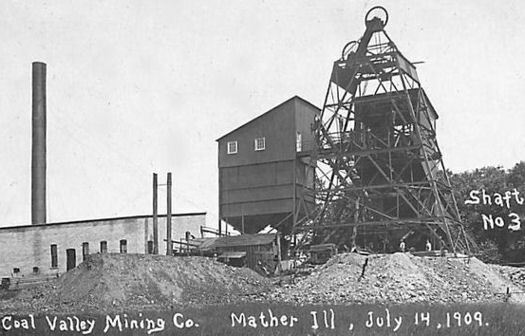 Sparks from electrical equipment touched off a pocket of methane gas, killing 119 miners. 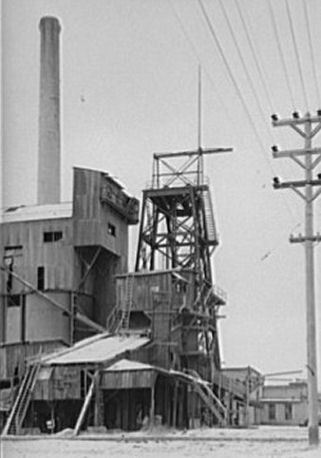 This resulted in the federal Coal Mine Safety Act of 1952, updated mine safety laws and provided for more stringent inspections of mines. 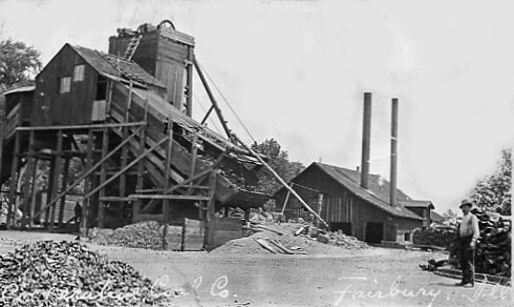 Native Americans carved fluorspar to make ceremonial and decorative objects, but the first recorded commercial use of Illinois' fluorite was in 1823, when fluorspar mined near Shawneetown in Gallatin County was used to manufacture hydrofluoric acid. 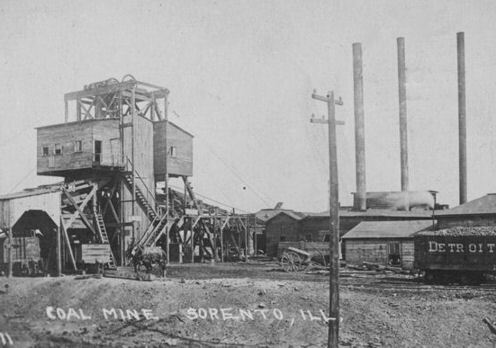 Since 1823, fluorite has been commercially mined in sourtheastern Illinois for a multitude of purposes. 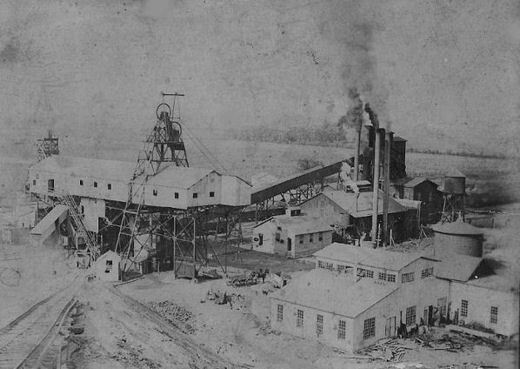 The fluorspar-rich region, which reaches from southeastern Illinois into parts of Kentucky, was called the Illinois-Kentucky Fluorspar Mining District. 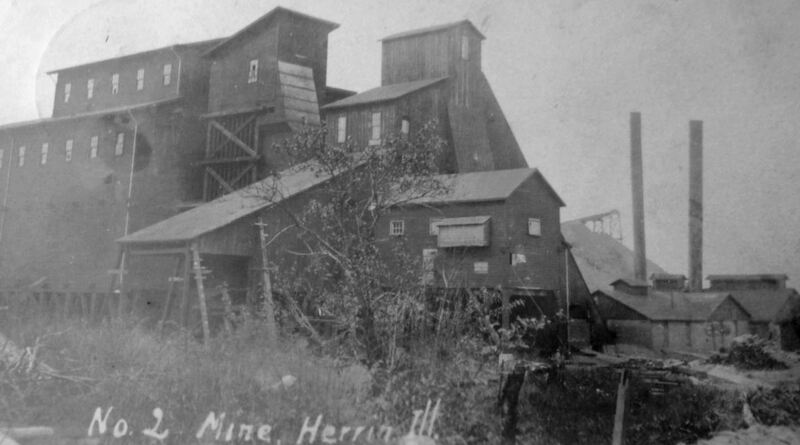 In Illinois, fluorite was mined almost exclusively in Hardin and Pope Counties. 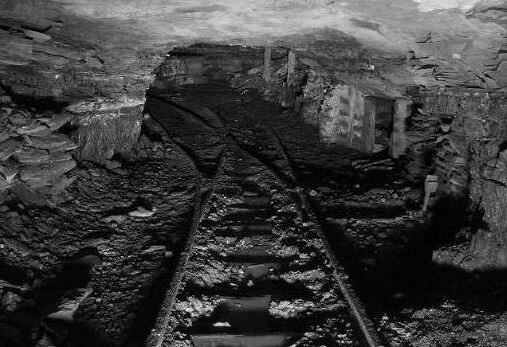 The main production came from fissure-vein deposits in the Rosiclare District, and stratiform (bedding plane) deposits in the Cave-in-Rock District. 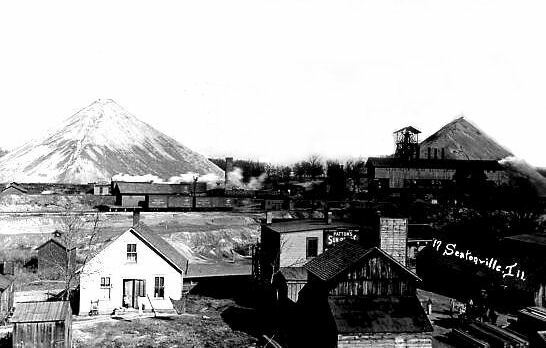 Other areas in the two counties yielded smaller amounts of fluorspar. 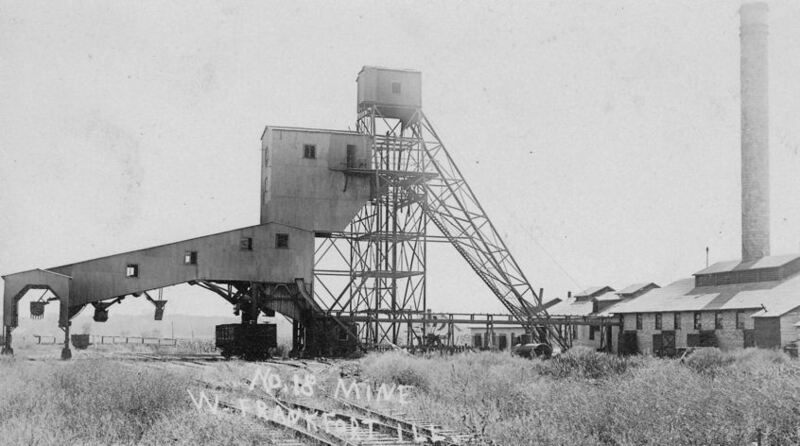 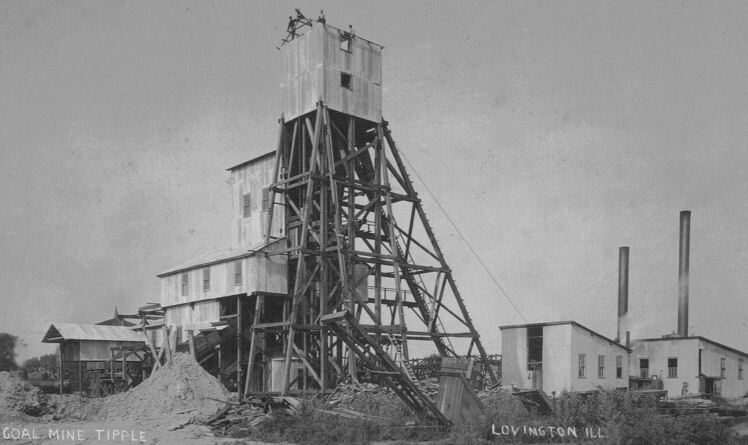 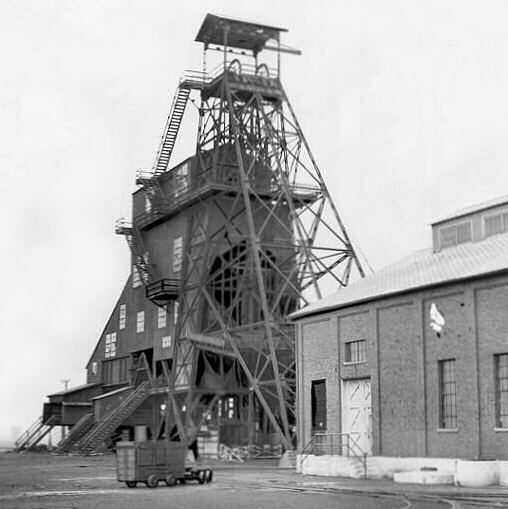 Most mining was underground, as much as 1,300 feet deep. 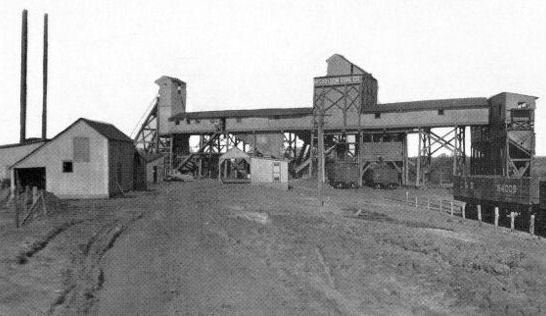 But open-pit mines operated where fluorspar deposits intersected the land surface. 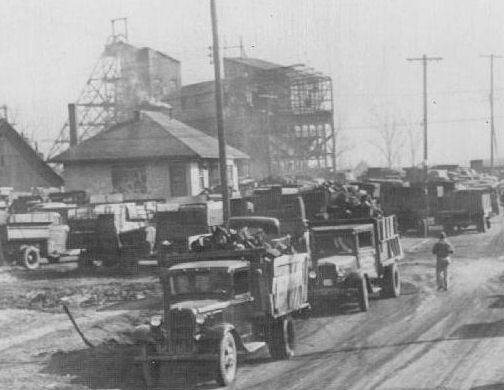 Illinois displaced Kentucky as the country's leading producer of fluorite in 1942. 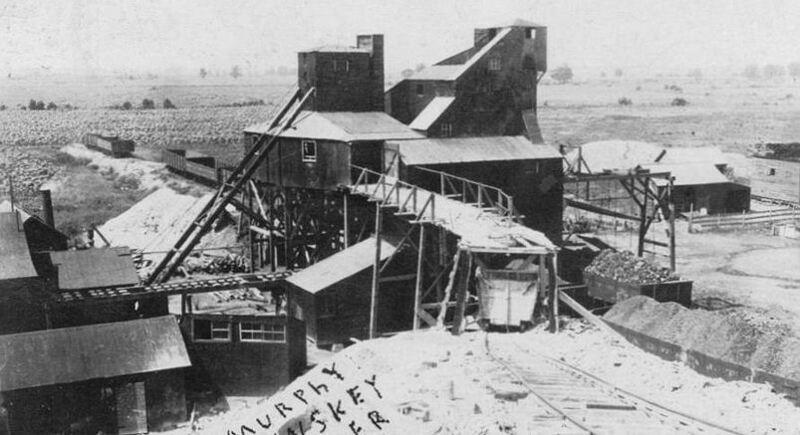 For many years, Illinois accounted for more than 50% of total U.S. fluorspar production. 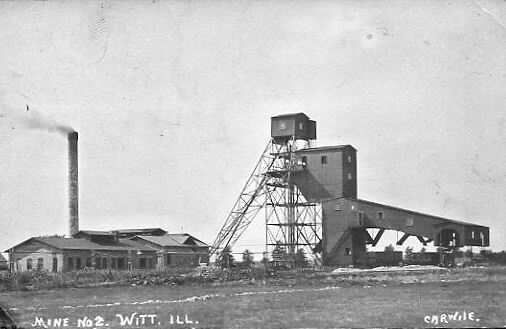 By 1990, due to the cost of mining, more than 90% of the fluorite used in the U.S. was importedfrom other countries Illinois was the only remaining domestic producer. 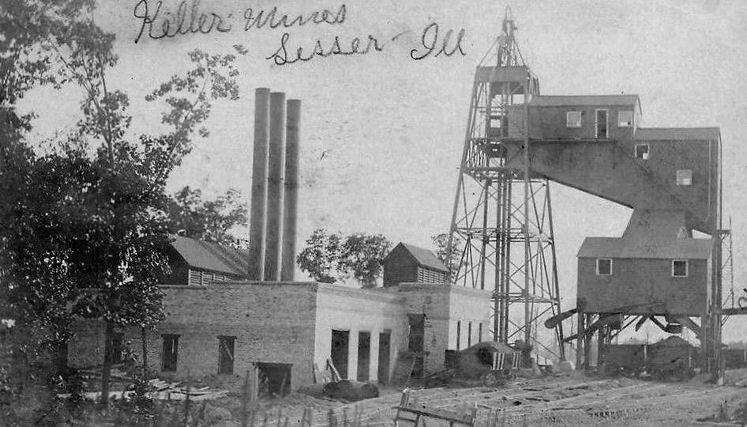 Competition from foreign producers coupled with high costs of underground operations made Illinois' fluorspar mining unprofitable. 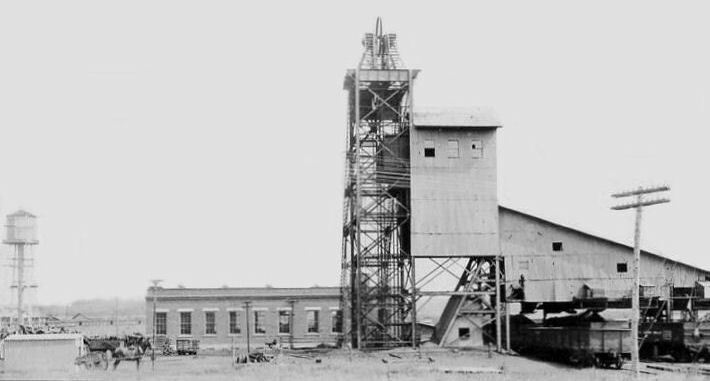 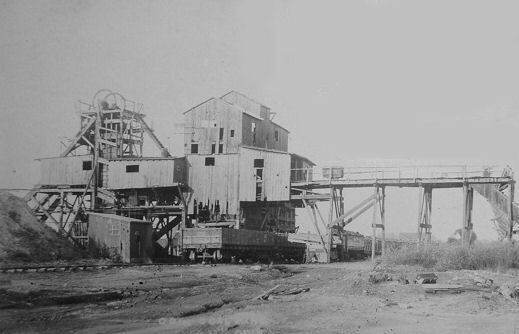 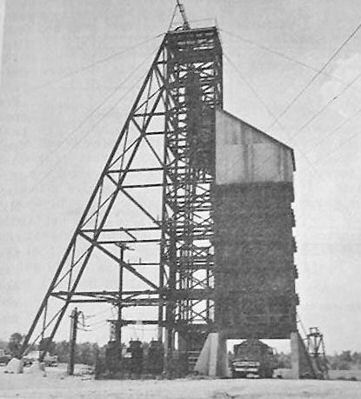 The last fluorspar mine in Illinois closed in December 1995. 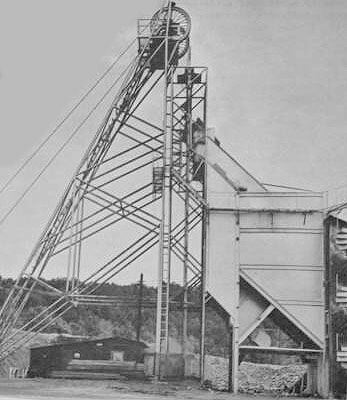 Fluorspar is no longer commercially mined anywhere in the United States.